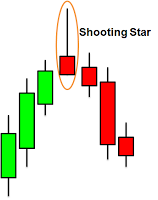 You can learn about the basics of Japanese candlesticks patterns such as Marubozu, Spinning Top, Doji, Hammer, Inverted Hammer, Hanging Man, Shooting Star, Tweezer Tops, Tweezer Bottoms, Engulfing, Harami, Morning Star, Evening Star, Three Inside Up, Three Inside Down, Three White Soldiers, Three Black CrowsCandlestick patterns in Sinhala which would benefit you when your doing forex & binary options trading using Olymptrade, ICMarkets or any popular broker's trading platform. What are these Japanese candlesticks ? මොනවද මේ ජපන් කැන්ඩල්ස්ටික් කියන්නේ ? ඈත අතීතයේ ජපන්නු සහල් වෙළදාම් කරද්දී මේ කියන කෑන්ඩල් පාවිච්චි කරා. ඉතින් එවකට හිටපු ස්ටීව් නයිසන් ( Steve Nison ) කියන මහත්මයේක් මේක පාවිච්චි කරපු ජපන් බ්‍රෝකර් කෙනෙක් ගෙන් මේ ක්‍රමේ හොයාගත්තේ . ඊට පස්සේ ඒ මහත්මයා මේ ගැන වැඩි දුර පරීක්ෂණ කරලා තමා ලෝකෙට කිව්වේ මේක තියෙන වටිනා කම trade කරද්දී. ස්ටීව් නයිසන් මහත්මයා නොහිටින්න ඉතින් සමහරවිට මේ ක්‍රමේ වැළලිලා යන්නත් තිවුනා. ඔන්න ඒ මහත්තයට පින් දෙන්න අමතක කරන්න එපා යාලුවනේ ! ජපන්කෑන්ඩල්ස්ටික් බුලිෂ් ( bullish ) සහ බෙරිෂ් ( bearish ) ලෙස තමා ඔබට චර්ට් එකක පෙන්නනේ. ඔබට තේරෙන විදියට කිව්වොත් බොහොමයක් බ්‍රෝකර්ලගේ වැඩිවීමකදී පෙන්නනේ green/white candlestick ( bullish ). අඩුවීමක්දී පෙන්නනේ red/black candlestick ( bearish ). මේවයේ ශරීරයක් ( body ) සහ හෙවනැල්ලකින් ( shadow ) සමන්විතයි. සාමාන්‍යයෙන් body එක ගොඩක් දිගට තියෙනවනන් පොඩි shadow එකක් එක්ක හරි කිසිම shadow එකක් නැත්තම්. ඒක හොද strong candle එකක්. මේ කෑන්ඩල්ස්ටික් තනි තනි වශයෙන් තමා අදුරගන්න පුළුවන්. Green/White Marubozu කෑන්ඩල්ස්ටික් එක මගින් නිරුපනය කරන්නේ වැඩිවීමක්. ගොඩක් වෙලාවට ඔයාට මේක දැකගන්න පුළුවන් uptrend එකකදී. අර ඉස්සෙලා මම කිව්වා වගේ මේවයේ හෙවන්නල්ල ඇත්තෙම නෑ එක්කෝ පොඩි හෙවන්නල්ලක් තමා තියෙන්නේ. Red/Black Marubozu කෑන්ඩල්ස්ටික් එක මගින් නිරුපනය කරන්නේ අඩුවීමක්. ගොඩක් වෙලාවට downtrend එකකදී මේක දැකගන්න පුළුවන්. range market එකකදී ගොඩක් වෙලාවට මේවා කවලමේ තමයි පෙන්නනේ මොකද trend ඒවා strong නැති නිසා. මේක neutral candle ( අදහස් කරේ අඩු වැඩි වීමක් පෙන්නනේ නැති නිසා ) එකක්. මේකෙන් අපිට දැනගන්න පුළුවන් මාර්කට් එක වැඩිය වෙනස් වෙන්නේ නැති තත්වෙකට එමින් තියෙන්නේ buyersලා සහ sellarsලා එක සමාන මට්ටමකට අවහම ( trend එකක් ඉවර වෙන්න කිට්ටු වෙනකොට ) හරි ට්‍රෙන්ඩ් එක වෙනස් වෙන්න හදන්නේ කියලා. ට්‍රෙන්ඩ් එකක් වෙනස් වෙනවනං අනිවාර්යයෙන් මේකට පස්සේ strong bullish හරි bearish හරි candle 2ක් 3ක් වත් පෙන්නන කන් ඉන්න ඕන. Spinning top එක දිගට තියෙන මාර්කට් වල trade කරන්න එපා මොකද ඒවායේ ඇහැට පේන අඩු වැඩි වීමක් නැතිනිසා ඔබ අමාරුවේ වැටෙන්න පුළුවන්. trend එකක් එහෙමත් නැත්තම් trend reversal එකක් අදුරගන්න ගොඩක් වෙලාවට මේක උපකාරී වෙනවා. ඉතින් මේක ඉතා වටිනා ලිපියක් වෙනවාට සැකයක් නෑ ඔබ trade කරද්දී. =) මොනවහරි ප්‍රශ්න තියෙනවා නම් අහන්න අමතක කරන්න එපා. මේකයි ඉස්සෙල්ලා එකයි එකමද කියලත් හිතෙන්නේ පුළුවන් නේද. මේ candle එකේ බොඩි එක හරියට ඉදිකට්ටක් වගේ තුනී.එහෙමත් නැත්තන් තුනී line දෙක තුනකට වඩා ඝන නෑ. මේකත් neutral. මේකත් ඉතින් සාමාන්‍යයෙන් trend එකක් ඉවර වෙන්න කිට්ටු වෙනකොට සහ අලුත් ට්‍රෙන්ඩ් එකකට breakout සිග්නල් එකක් වගේ තමා මේකෙත් දෙන්නේ. මේක candle වර්ග කීපයක් තියෙනවා ඉහල පින්තුරේ තියෙන විදියේ. මේක නිකන් මිටියක් වගේ නිසා තමා මේකට මේ නම වැටිලා තියෙන්නේ. මේකේ පාට එච්චර ප්‍රශනයක් නෙමේ. මේ වගේ candle එකක් downtrend එකකට පස්සේ ඇතිවෙලා ඊට පස්සේ ස්ට්‍රොන්ග් green/white marubozu candle 2ක්-3ක් වගේ පෙන්නුවහම හොද uptrend එකක් පටන් ගන්න යන්නේ කියලා සිග්නල් එකක් තමා දෙන්නේ. මේකේ body එක වගේ දෙගුණයක් තුන්ගුණයක් වගේ shadow එක පහලට තියෙන්නේ. උඩ පැත්තේ shadow එක ලාවට තියෙන්නේ පුළුවන් හෝ ඇත්තේම නැති වෙන්න පුලුවන්. මේකේ body එක වගේ දෙගුණයක් තුන්ගුණයක් වගේ shadow එක ඉහලට තියෙන්නේ. පහල පැත්තේ shadow එක ලාවට තියෙන්නේ පුළුවන් හෝ ඇත්තේම නැති වෙන්න පුලුවන්. මේක ඉස්සෙල්ල දෙකේ ඇත්තටම අනිත් පැත්ත. මේක uptrend එකක් ඉවර වෙලා ඇතිවෙනවා කියන්නේ downtrend එකක් පටන් ගන්න සිග්නල් එකක් කියලා. downtrend එකක් කියලා වැඩි අවබෝදයක් ගන්න ඉතින් ඉස්සෙල්ලා වගේම හොද strong bearish marubozu දෙකක් වත් මේකට පස්සේ නිරුපනය වෙනකන් ඉන්න වෙනවා..
මේවා ඉතින් දෙක දෙක ඇති වුනොත් තමයි trend reversal එකක් වෙන්න පුළුවන්. මේ වගේ pattern එකක් ඇති වෙන්නේ දීර්ග uptrend එකකට පස්සේ. පළමු tweezer candle එක bullish (white/green) වෙන්න ඕන. දෙවැනි එක bearish (red /black) වෙන්න ඕන. මේ දෙකේම සෙවනැල්ල එක සමාන වෙන්න ඕන හොද effective trend reversal එකකට කියන එකත් අමතක කරන්න එපා යාලුවනේ. මේ වගේ candlestick pattern එකක් ඇති වෙන්නේ දීර්ග down trend එකකට පස්සේ. පළමු tweezer candle එක bearish (red /black) වෙන්න ඕන. 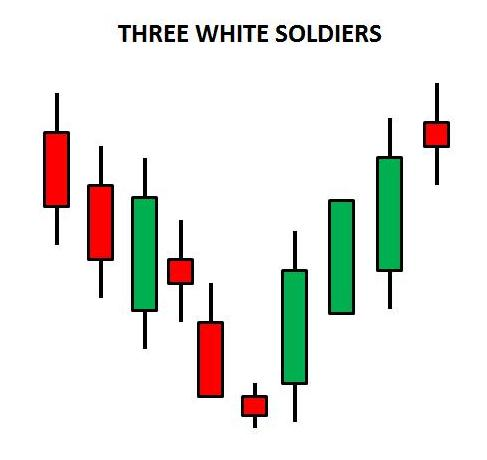 දෙවැනි එක bullish (white/green) වෙන්න ඕන. මේ දෙකේම සෙවනැල්ල එක සමාන වෙන්න ඕන ඉස්සෙල්ල වගේම හොද effective trend reversal එකකට . මේක ඇතිවෙන්න downtrend එකකට පස්සේ. මෙතන වෙන්නේ downtrend එකේ candle එක ඊළගට ඇතිවෙන bullish candle එකකින් එහි body එක සම්පුර්ණයෙන් ආවරණය කිරීම. අනිත් මතක තියාගන්න ඕන කරුණු දෙක තමයි. 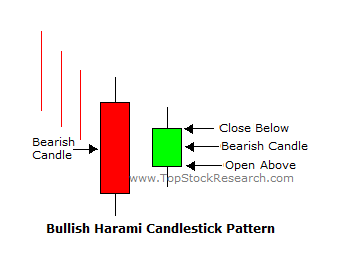 bullish candle එක ටිකක් පල්ලෙහට යන්නත් ඕන පලමු එකට වඩා.ඒවගේම bullish candle එක bearish candle එක ආවරණය කළා වගේම ඒකට වඩා ඉහලින් ඉවර වෙන්නත් ඕන. මේක ඇතිවෙන්න uptrend එකකට පස්සේ. මෙතන වෙන්නේ uptrend එකේ candle එක ඊළගට ඇතිවෙන bearish candle එකකින් එහි body එක සම්පුර්ණයෙන් ආවරණය කිරීම. අනිත් මතක තියාගන්න ඕන කරුණු දෙක තමයි. 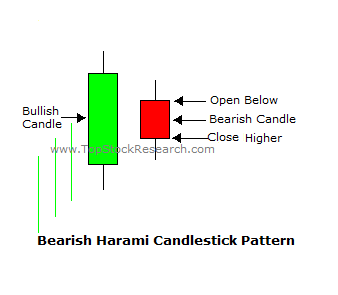 bearish candle එක ටිකක් පල්ලෙහට යන්නත් ඕන පලමු එකට වඩා.ඒවගේම bearish candle එක bullish candle එක ආවරණය කළා වගේම ඒකට වඩා ඉහලින් ඉවර වෙන්නත් ඕන. මේකේ වෙන්නේ downtrend එකක් අවසානයේ තියෙන bearish candle එක ඊළගට තියෙන bullish candle එක ආවරණය වීම. ඉස්සෙල්ල දෙකේ වගේම මේකෙත් පල්ලෙහට ටිකක් ගිහින් තියෙන්නේ ඕන bearish candle එකේ (පළමු candle එකේ). මේකේ වෙන්නේ uptrend එකක් අවසානයේ තියෙන bullish candle එක ඊළගට තියෙන bearish candle එක ආවරණය වීම. ඉස්සෙල්ල දෙකේ වගේම මේකෙත් පල්ලෙහට ටිකක් ගිහින් තියෙන්නේ ඕන bullish candle එකේ (පළමු candle එකේ). මේවා ඉතින් තුන තුන ඇති වුනොත් තමයි trend reversal එකක් වෙන්න පුළුවන්. මේකේ වෙන්නේ downtrend එකක් අවසානයේ තියෙන bearish candle එකට පස්සේ කුඩා body එකක් තියෙන candle එකක් ඇතිවෙනවා. ඒක bearish /bullish වුනාට කමක් නෑ (මේක ගොඩක් වෙලාවට spinning top හරි doji හරි candle එකක්. 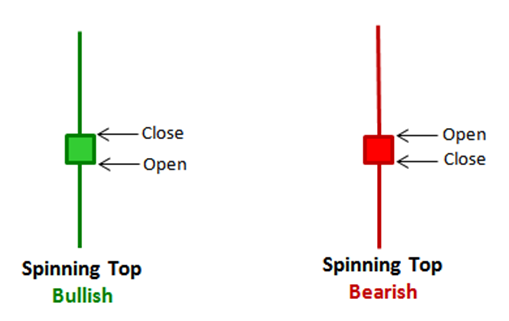 නැත්තන් කුඩා bearish/bullish candle එකක්). 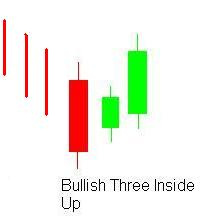 ඉන්පසු body එක ලොකුවට තියෙන bullish candle එකක් ඇතිවෙනවා ( සාමාන්‍යයෙන් මේක downtrend එකේ අවසානයට ඇතිවුන ලොකු bearish candle එකෙන් බාගෙකට වඩා වැඩි වෙන්න ඕන ). දැන් මේ රටාව reversal uptrend point එකක් විදියට නැවත සනාථ කරගන්න පුළුවන් ඊළගට ඇතිවෙන විශාල bullish candle එකෙන්. මේකේ වෙන්නේ uptrend එකක් අවසානයේ තියෙන bullish candle එකට පස්සේ කුඩා body එකක් තියෙන candle එකක් ඇතිවෙනවා. 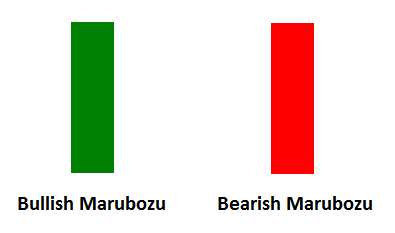 ඒක bearish /bullish වුනාට කමක් නෑ (මේක ගොඩක් වෙලාවට spinning top හරි doji හරි candle එකක්. 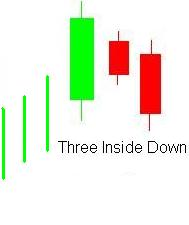 නැත්තන් කුඩා bearish/bullish candle එකක්). ඉන්පසු body එක ලොකුවට තියෙන bearish candle එකක් ඇතිවෙනවා ( සාමාන්‍යයෙන් මේක uptrend එකේ අවසානයට ඇතිවුන ලොකු bullish candle එකෙන් බාගෙකට වඩා වැඩි වෙන්න ඕන ). දැන් මේ රටාව reversal downtrend point එකක් විදියට නැවත සනාථ කරගන්න පුළුවන් ඊළගට ඇතිවෙන විශාල bearish candle එකෙන්. Downtrend එකක් අවසානයේ ඇතිවෙන bearish candle එකකින් පස්සේ. සාමාන්‍ය ප්‍රමාණයේ candle එකක් ඇතිවෙන්න ඕන. හැබැයි එක අවසන් වෙන්න ඕන bearish candle එකේ බාගෙකට වඩා ඉහලින්. ඊළගට ඇතිවෙන bullish candle එක නන් ඉවර වෙන්න ඕන පළමු bearish candle එකට උඩින්. Uptrend එකක් අවසානයේ ඇතිවෙන bullish candle එකකින් පස්සේ. සාමාන්‍ය ප්‍රමාණයේ candle එකක් ඇතිවෙන්න ඕන. හැබැයි එක අවසන් වෙන්න ඕන bullish candle එකේ බාගෙකට වඩා පහලින් . ඊළගට ඇතිවෙන bearish candle එක නන් ඉවර වෙන්න ඕන පළමු bullish candle එකට වඩා පහලින්. මේ ඉතින් ඉස්සෙල්ලා කිව්වා එකේ අනිත් පැත්ත. uptrend එකක් ඉවර වෙලා හොද bearish candle තුනක් ඇතිවුනහම හරි. ඉස්සෙල්ලා වගේම ඉතින් දෙවෙනි තුන්වෙනි candle ආරම්භ වෙන්න ඕන ඊට ප්‍රථම තියෙන candle එකේ අවසානයට පෙර..
දැන් ඉතින් තියෙන්නේ මේ ටික හොදට මතක තියාගෙන Forex / Binary Options Trading chart වලදී අදුරගන්න එක. ඒවගේම සමහර වෙලාවට මේ විදියම තියෙන්න ඕනෙම නෑ නුමුත් කිට්ටුවෙන් යන pattern වුනත් match වෙනවා. අනිත් මතක තියාගන්න ඕන දේ තමයි සමහර downtrend /uptrend ඇත්තටම සුළු වෙලාවයි තියෙන්නේ ඉතින් ඒවා මගහරවා ගන්න එක ඉතින් indicators සහ trading පළපුරුද්ද මත තමා රදා පවතින්නේ. අන්න එනිසයි ඔබ උත්සහ කල යුත්තේ minimum 60% trade ප්‍රමාණයක් දවසට සාර්ථක කරගන්න 80% දෙන trade වලින් ( බයිනරි වලදී ). කලබල නැතුව බයිනරි කරනවනම් Binary Options money management techniques පාවිච්චි කරන්න අනිවාර්යයෙන් 70%-90% සාර්ථක කරගන්න පුළුවන්. ෆොරෙක්ස් කරනවානම් Forex Money management techniques පාවිච්චි කරන්න අනිවාර්යයෙන් 70%-90% සාර්ථක කරගන්න පුළුවන්. Me site eka godak hondai. 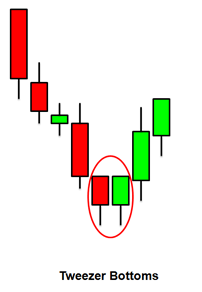 meka double candlestick pattern wenna oni neda? typing erroe ekak da? ඔබ හරි. ඔව් ඉංග්‍රීසි වචනේ “double” ලෙස සදහන් විය යුතුයි. බොහොම ස්තුතියි පෙන්වා දුන්නට. Meke 3 (a), 3 (b) therenawa madi.thawa tikak pahadili karanna puluwanda? මේකෙ වෙන්නේ downtrend එකක් අවසානයේදී doji (පොඩි candlestick එකක් ) එකක් ඇතිවෙනවා downtrend එකේ අන්තිම candle එකට (රතු පාට එක ) ටිකක් පහලට වෙන්න විතර. 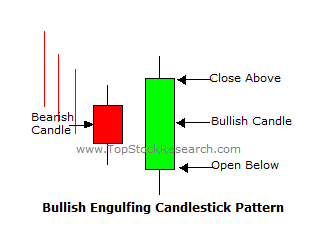 ඊට පස්සේ ඇතිවෙන bullish candlestick එක (කොලපාට එක) අර ඉස්සෙල්ලා කිව්ව රතු පාට එකට වඩා ඉහලට එන්න ඕන අවසාන වෙද්දී. තව කොළ පාට එකක් ඇතිවෙනකන් ඉන්න ඕන confirm කරගන්න. Ow.theruna.eth meke 3a eke thiyenne up trend 1k awasanaye kiyala.eka niwaradi kaloth therum ganna lesi.3a 3b dekema samahara ewa maru wela kiyala mata danenawa….poddak balanna…..jaya wewa…. බොහොම ස්තුතියි. 3d එකෙත් සුළු සුළු නිවරේදී කිරීමක් කරා. දැන් බලන්න. eg: 1min time framework ekaka candle ekak 1min athulata price eka thama pennanne. 15min time framework ekaka candle ekak 15min athulata price eka thama pennanne. 3)a) Result eka uptrend ekak kiyala neda enne mchn. ow Gihan. Eka mama dan niwaradi kara. Me pattern athiwenne S/R waladi neda.eheama unoth neda trade karanne. candlestick onema thainaka aiti wenna puluwan. Numuth support/resistance zones balanna ona ewagema hodata analysis ekak karala thamai trade ekakata yomu wenna ona. Mn area graph eken krla 58% wage success thiyanawa. Me widihata krhma mata kochchara hodata puluwan weida? Bulish, bearish engulfig therune na. Mai tikath hariayta allaganna ethakota oyata 80% walata ihalata sarthaka wenna puluwan. Ewagema Forex ( dainata forex karanawanam ) sarthaka karagannath puluwan. Jayawewa ! Home page eke thiyena economic calendar eka balanna ehema naittan investing.com eke calendar eken balannath puluwan. 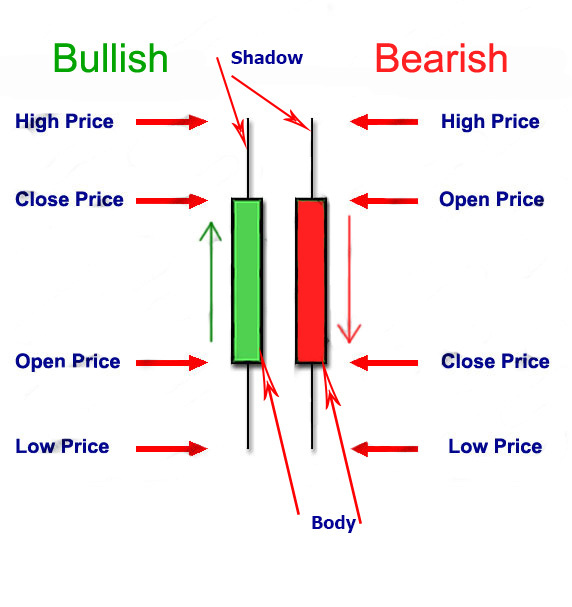 අයියේ candlestick pattern ගොඩක් දුරට සාර්තක 5min chart වලටද 30s වගේ chart walatdha ..? 5min. Api adu time framework walata yanna yanna effectiveness eka godak durata adu wenawa. Man trade karanne mobile 1n. Lap 1k na.a nisa mobile app 1 ta (Iq options ) obathuma pawasana rataa aduraganna candlesticks add karaganna one kohomada ? Seconds keeyaka candlesticks miniththu keeyak display wena widwidiyatada daa ganna one. 2.mobile app 1n cancandlestic add karagena tratra karaddi hoda indindicators monawada? Ewagen wenas weema adura ganna widiya poddak kiyala dedenna pupuluwanda? Thank you. Mobile eke godak indicators dagena trade karanan tikak amarui. Oya Support / resistance walata trade karanna huru wenna. 5min, 15min 1hr wage candlestick time thoraganna idea ekak ganna. area graph walin trend karana eka mita wada lesi nadda? Binary / Forex wala eka eka krama thiyenawa sarthaka wenna Vishawa. Ithin aread graph eka pahasui nam saha eka sarthak nam ewidiyatama trade karanna strategy eka nitharama change karanna epa. Meheidi candle stick 1m dagena karoth sarthakada?nathnm ita wada time frme eka wadi karanna onida???? 5 min kramye Candlesticks wenas wena widiha balala trade eka thiranya kra gnne 5 min chart ekeda?? 5min eken direction eka witharai udara api balanne. 1min eken thamai api final decision eka ganne saha trade eka danne. News wala usa news gnda blnna one..
USA wagema Europe sambanda news balanna EUR/USD trade karaddi. Mulikawa moderate/high volatility news gaina awadanayak yomu karanna ( news with 2 bull heads or 3 bull heads ). 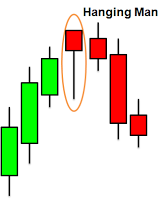 Api candlestick ekaka time eka 5mins dana eka da hoda.trade time ekath 5 mins da danna hoda trade karaddi?? candle eke body eka anuwa thamai pattern eka thiranayawenne ( candle ekakin ekthara kala parayasaka price movement eka penweema ). shadow eka wenas wenawa. Ewagema trade ekakata yomu weemedi anith karunuth (S/R, chart pattern) wage dewaluth sailakillata ganna ona. iwara wena thainakin haima thissema patan ganne nai. slippage ekakdi wenas wenna puluwan. ( ewagema methanadi dewani candle eka palamu eken passe patan gena onema thainakin iwara wenna puluwan. chart tikak hodata balanna. eth hariyanna tyna sambhawithayawa mta 50%i..
samahara wta mge time interval 1 wenas athii..mm hariytama use kranna one mona time interval da ??? 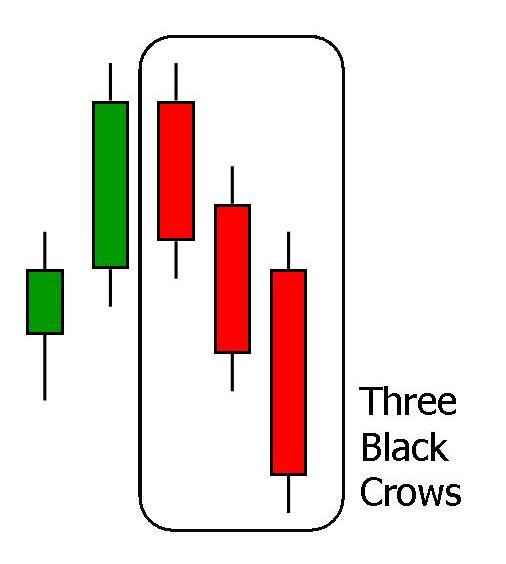 time intrval 1 mathath Three Black Crows wge dewal depend wenwa ne..
candlestick pattern S/R saha chart pattern ewath bawitha karala thamai entry point ekak ganna ona. waidi time framework wala thamai mai patterns wadath sarthaka (1hr,4hr,daily wage). podi time framework wala nan 5min-15min bawitha karanna numuth S/R walata waidi awadanayak enna wenawa. godak hodai tnx for all..
trend ekak kiyanne mokakda ??? මට දැන ගන්න ඔනේ සමහර වෙලාවල් වලට මෙ වට treding කලාට ලොස්ටි වෙනවවේ ාමාකක්ද හොද time aka 1 minite da???? kisima kramayak 100% sarthaka nai Prageeth. Eka nisa waidi trade pramanayak sarthaka kara ganeema thamai aramuna wenna ona ( trade 10k kara kiyamu. Oyata eken 6 sarthaka wenna puluwan wunoth oya sarthakai. Numuth target karanna ona aduma 7 ~8 wath ) candlestick + chart pattern + support/ ressitance. Ewagema indicators ewath use karnna puluwan trade ekak waidi dura sure karaganna. meka forex walatath adalai Ganganath. Aththatama hoda article ekak. Supiri. Mamath binary option patangaththe lagadi English chat ekedi itm kiyala hemoma kiyanawa otm kiyanawa long term eka google karalath beluwa ath therenne ne. Thawa prasnayak thiyenawa aththatama kohomada 70% walatath wada meyala vinadiyakata profit denne meyala hugak salli karayo unath ape salli eyalata lebunath ewa deposit karala salli hewwath eyalata lebenawa aththeth normal bank interest rate walinnam eka kenekta gewanna eyalata api 7 denekge salli ganna wenawa wage wedak nemeida meka. Ehwma hithuwama tikak viswasa karanna amarui wage kiyala hithenawa. Ayeth thanks article ekata candles / market eka gena therum patta watinawa. 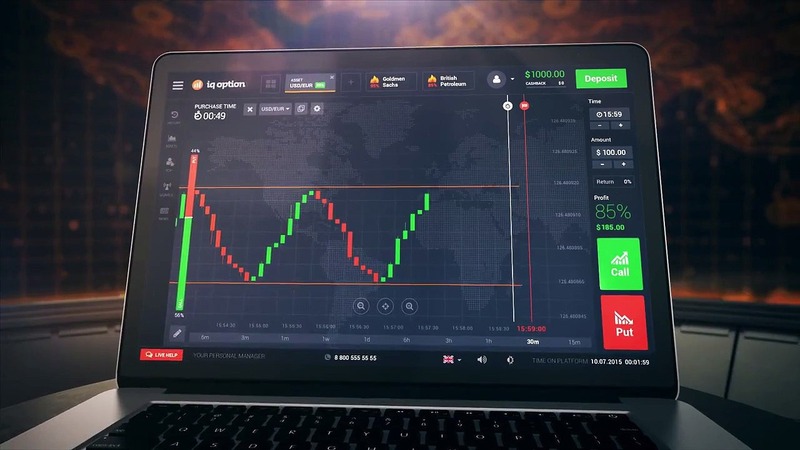 Forex / Binary waladi winners la wagema loss wena ayath innawa ( ekai meka ihala labayak wagema ihala awadanamak thiyena deyak lesa hadunwanne Sandeepa ). Mai winners la loss wena aya matha thamai profit laibenne. Ewagema broker ayathana trader lage mudal wenama ginumaka thamai thiyagena inne, eyalata ewa pawichchi karanna bai. Eka nisa hodata igena gena, puhunu wela karanna oyata sarthaka wenna puluwan. Superb article. You are doing a good job by giving your knowledge to others. 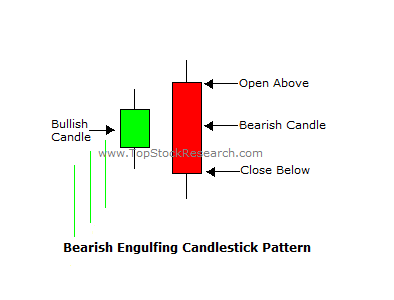 I learnt & obtained a good knowledge in this lesson how to use and analyse candlestick patterns. I am new to this field and ty to enter the market in near future. Thanks a lot for the help & wish you all the success..! 3a. Morning star tawa tikak explain karanna. den dila tyana eka haridaa. 3a saha 3b dekama hari. dekema wistharaya paihadili karala daimma. trade eka close wenna kochchara kalekata kalinda me pattern dakinna one? 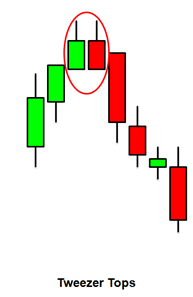 Candlestick pattern use karala trade karanna api toragann one koi time ekada..?….M1 , M5 ,M15, M30..?..